Our battle with gaining weight and having excess fat is probably one of the longest battles we’ve fought in our lives. Some of us may want a fuller figure, some of us may want a lean body, but none of us want fat in excess in all the wrong places. Unfortunately, not all of us are gifted with the perfect figure, and for most of us, working out just seems to yield very little result. In an era where image plays an important role in ones place in the society, more and more people and finding ways to preserve and improve their physical appearance, including maintaining a good body contour. This is evidenced by liposuction being the 4th most performed surgery in the whole world in 2012. Liposuction techniques had evolved from being primitive with the use of curettage in the 60’s, tumescent in the 80’s, ultrasound and laser in the 90’s, and the latest non-invasive, non surgical techniques over the last decade. All these techniques are still being used and improved by scientists and surgeons all over the world with different techniques more superior than others on certain aspects. The use of anesthesia has also changed from just making use of general anesthesia to the option of sedation and local anesthesia depending on the areas that will be treated with the liposuction procedure. 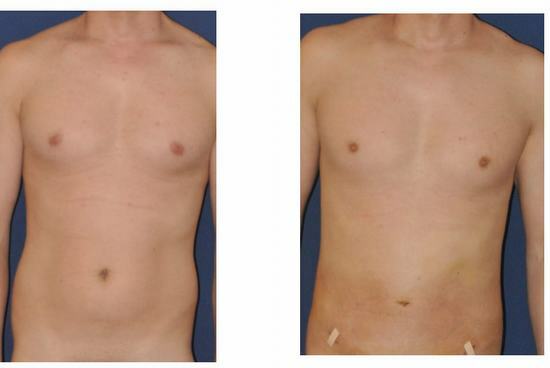 Over the years, the continuous improvement of liposuction techniques also led to the development of safer, more effective techniques that in turn leads to less trauma, less down time, less blood loss, and less surgical time and risks. · Tumescent Liposuction - With tumescent liposuction, a large amount of anesthetic solution will be injected to the area that will be treated with liposuction. This solution causes the fatty layers of the skin to swell and become firmer, making it easier for your surgeon, Prof. Somyos Kunachak, to contour the area and remove the fat deposits. The solution also facilitates shrinking of blood vessels, thus reducing the possibility of blood loss during the entire treatment. The suction tube will then be inserted on the incision site to suction out the fat deposit on the area. · Laser-Assisted Liposuction or Smart Liposuction – With Laser-Assisted Liposuction, lasers is used to break up fat before it is removed from the body, therefore lessening the possible trauma that can be caused during the suctioning process. Two (2) types of laser liposuction are currently being used nowadays, the external laser technique where in the laser probe will not be inserted inside the body but will only be run on the skin before the surgery actually begins; the internal laser technique on the other hand uses a laser probe that is attached to the suction machine and will need to be inserted in the body through an incision during the surgery proper. · Ultrasound Assisted Liposuction or VASER Liposuction – With Ultrasound Assisted Liposuction, high frequency sound waves is used to break down fat before the suctioning treatment, therefore making fat deposits easier to be removed. The use of the sound waves also causes less damage to surrounding cells and tissues around the area because the frequency of the sound waves is selective to fat cells only. 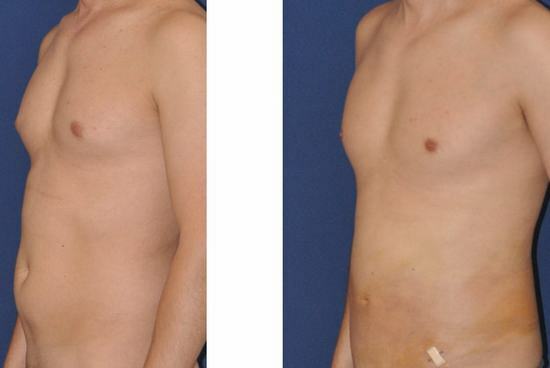 · VASER Liposculpture or VASER Hi-Def – Vaser Hi-Def is a specialize type of Vaser Liposuction. 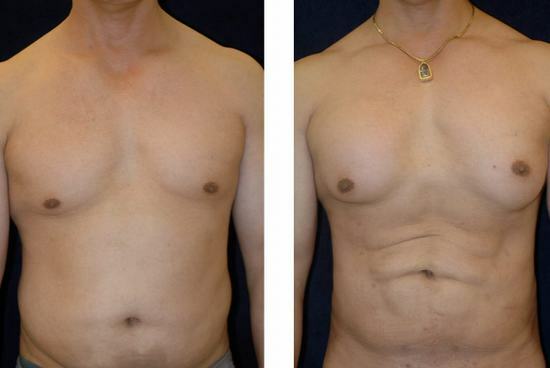 Basically, with Vaser Hi-Def, men and women alike will be able to achieve a more muscular look such as the 6 pack abs for men and a shapelier figure for women. With Vaser Hi-Def, ultrasound assisted liposuction is also used, but certain areas will be more contoured to accentuate a patient’s underlying muscle, thus bringing out the 6-packs and the well defined lines on the abdomen. WHAT ARE ADVANTAGES AND DISADVANATGES OF EACH LIPOSUCTION TECHNIQUE? The three surgical techniques for liposuction that we offer in our center each have their own advantages and disadvantages over the other. For the Tumescent Liposuction, basically, it is the technique with least cost, however, the suctioning part will be the hardest because the fat deposits will still be attached to the skin and though the cells will be engorged because of the fluid infiltrate, it will still not be as easy as suctioning out liquefied fat. For the Laser Liposuction, researchers say that the heat from the laser can stimulate collagen formation which can in turn tighten skin to some degree, therefore, patients get two benefits in one surgery, but please note that tightening is not an absolute benefit and in cases with excess skin, even this technique wouldn’t help and another surgical intervention may be necessary. As the procedure will make use of heat, burning has been one of the problems on the earlier generations of this machine, but with the latest technology, and with a highly skilled surgeon like Prof. Somyos Kunachak, this concern is considered very minimal to non-existent anymore. Lastly, for the Ultrasound Assisted Liposuction or Vaser Liposuction, larger amount of fat can be removed because this technique causes the least damage to tissues and cells on the area treated with liposuction, therefore there is also less blood loss. Since the frequency of the sound waves is more selective and less trauma is incurred, recovery is also faster with this approach. The downside is, this technique is a little more pricey than other liposuction methods. Patients who would like to undergo liposuction surgery, regardless of technique, should be of sound physical, mental, and emotional health. Normally, liposuction is not prescribed to obese patients because liposuction alone is not a weight loss procedure, but a cosmetic procedure to improve one’s body contour. Patients should also understand that not all of the fat can be removed because our surgical team will also need to consider the patient’s current health status. During your initial visit with our surgeon, you will be presented with options regarding the techniques and the areas that can be done. Each technique will be further explained to you so you can have an informed decision. Prof. Somyos Kunachak will also discuss the possible outcome of the procedure. Please consider that on some cases, it’s not just fat that makes the area seem heavy, sometimes, your bone and muscle structure is the one responsible for the bulkiness of the area, and this is not something liposuction can address. WHAT RESULT CAN YOU EXPECT AFTER LIPOSUCTION? There is no guarantee about how much smaller you will be after a liposuction procedure but Prof. Somyos Kunachak always remove as much fat as possible while still making sure that your health will not be compromised. For older patients who already have some degree of sagging, liposuction will only help in removing the excess fat; the skin will have to be addressed with a lifting procedure. For younger patients however, the skin usually remodels by itself though we cannot guarantee that the skin will be as tight as it was before the surgery, the results are usually very promising. Swelling and bruising is normal after a liposuction procedure though it is a lesser for those who used the Ultrasound Assisted Liposuction technique. Pain and discomfort can usually be managed with oral pain relievers, and patients can usually start to walk around in 1-2 days depending on their pain tolerance. The final result of liposuction surgery can be appreciated in 8-12 weeks after all the swelling has gone down but you will notice a difference in your size in about 2-4 weeks. Activities can be gradually resumed in 2 weeks but strenuous exercise will have to wait for 4-6 weeks. The key is to not push your limits, if the area still feels tight, which will be normal especially on the 1st week post-operatively, do just minimal exercise to allow it to heal and gradually return to its full condition. Pushing yourself too hard may just increase the chance of injury, hence prolonging your recovery. Compression garments, which will be worn after surgery, will be provided for you. You will have to wear those garments for at least 2 weeks round the clock after your liposuction surgery to facilitate better skin attachment to the underlying fascia, therefore minimizing the possibility of loose skin. Compression garments can be worn far longer if it suits you. Massage, whether manual, or mechanical, is recommended once tolerated. Massaging the area treated with liposuction can help facilitate faster healing by increasing blood flow. At Yoskarn Clinic, we believe in giving you the best result in every procedure that you do, therefore, for our liposuction surgery, our surgical team tries to remove as much fat as it is safe and healthy for you so you won’t need to do the procedure again. Aside from this, we also have a hotel where you and your companion can stay after surgery for your convenience and comfort. Aphrodite Inn, the hotel beside our center, is adjoined to our clinic on the 2nd floor so our nurses and Prof. Somyos Kunachak will be able to visit you every day. Room service is also available with complimentary breakfast so if you want to stay in bed the whole time during your recovery, there will be really no need for you to go out. All rooms for our clients are modified to suit your medical needs with mechanical beds covered with soft, hotel quality mattresses and emergency kits. Your companion can also stay with you in the same room and enjoy the comfort of a hotel bed which no other hospital provides. In case you are up to going out however, our area is surrounded by the biggest shopping malls in Bangkok, with Central World just about 100m from our center and the hotel. Other tourist areas are within a few minutes by taxi so travelling will be easy. Our battle with gaining weight and having excess fat is probably one of the longest battles we’ve fought in our lives. Some of us may want a fuller figure, some of us may want a lean body, but none of us want fat in excess in all the wrong places.